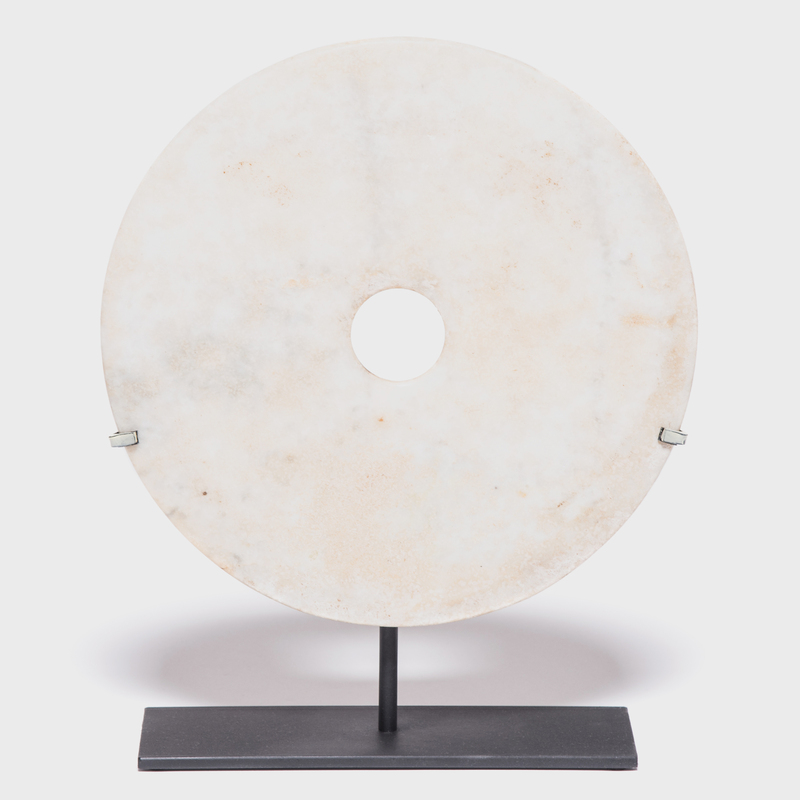 W: 11.75" D: 3.5" H: 16.25"
Jades have been cherished for thousands of years for their rich heritage, beauty, and rarity. 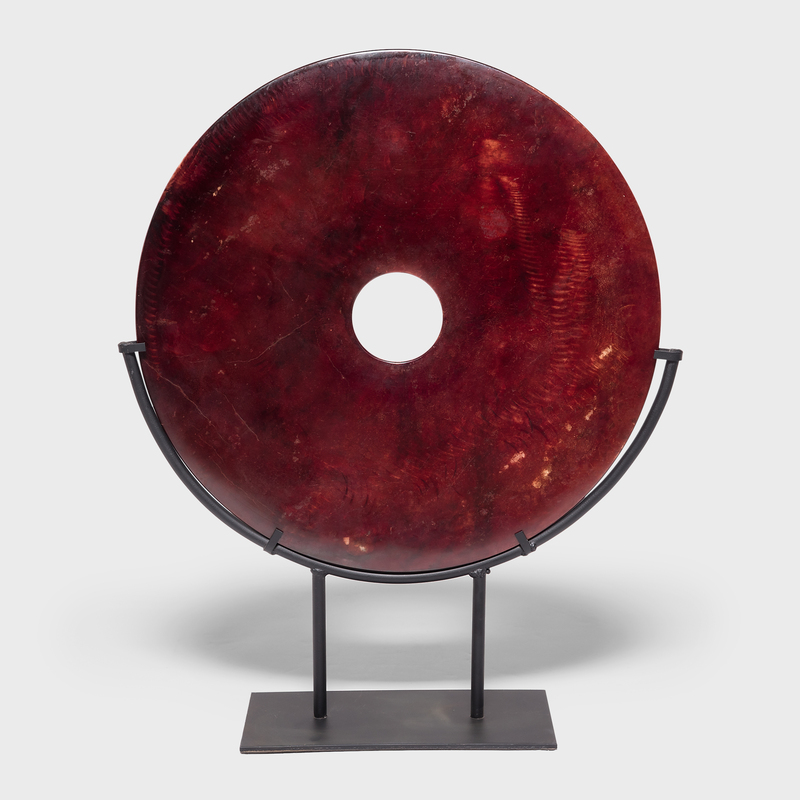 Found in the tombs of ancient Chinese emperors and aristocrats, jade bi discs such as this have a mysterious and spiritual history, and their function and significance remain unknown. 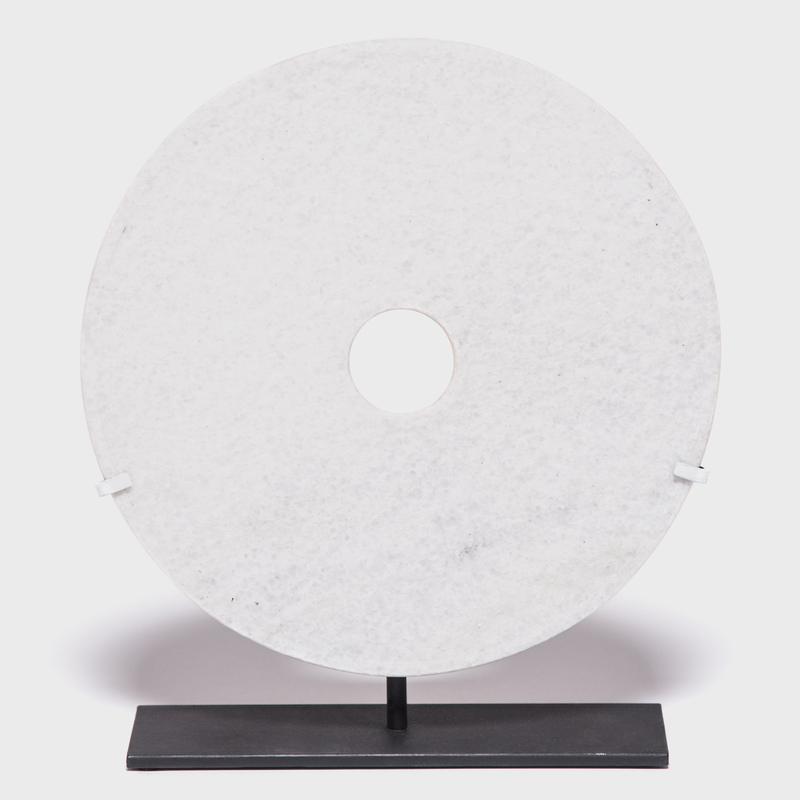 Shaping this hard stone takes considerable skill. 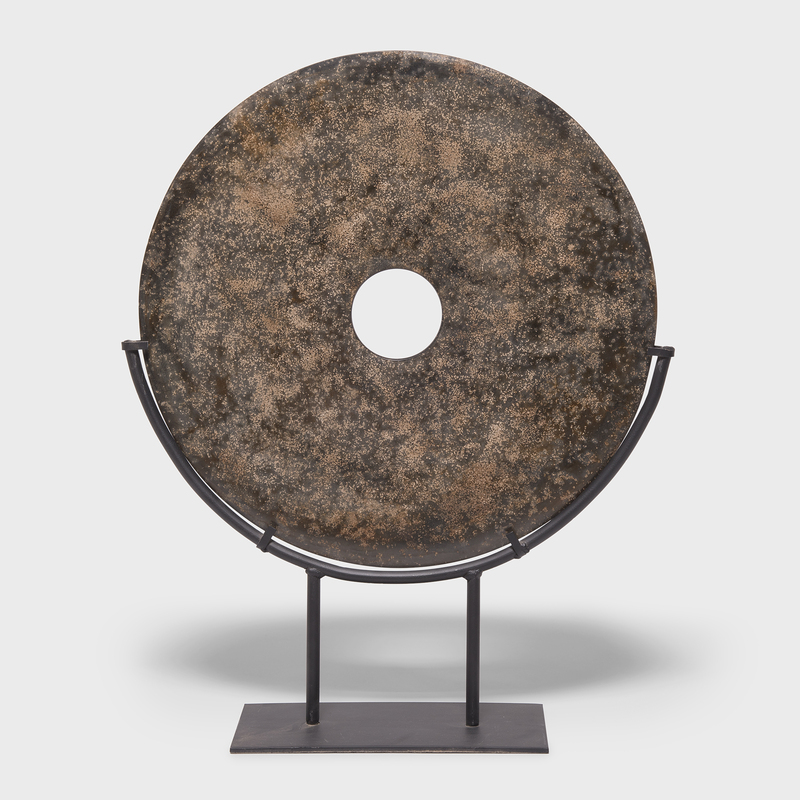 An artisan patiently rubs the surface with sand to give the stone its soft, satiny appearance, a subtle glow completely different from the polished gloss of machine-finished jades. 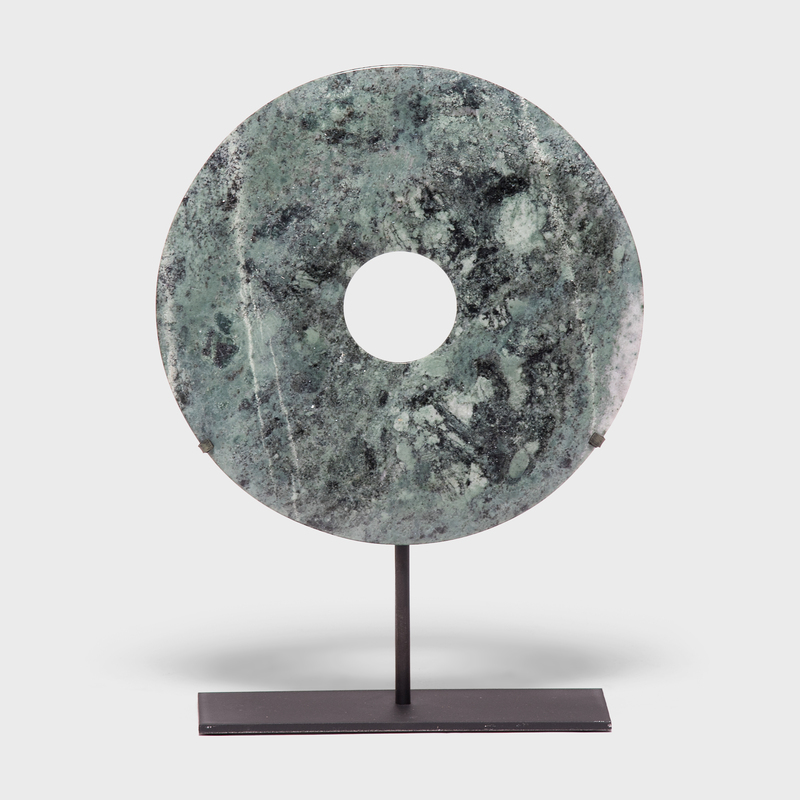 The patterning of this contemporary bi disc is beautifully irregular, swirling with currents of light and dark against a field of pale green jade.